Quick Connect Button Head Coupler. For Quick Conversion of Jaw Type Couplers to Button Head Coupler. 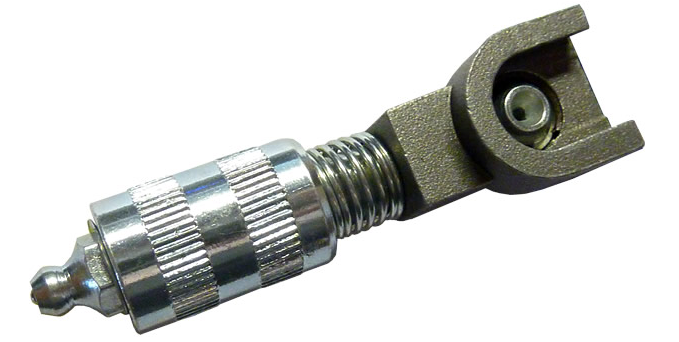 No Threads, No Screwing, Just Snap the Coupler onto any Standard Coupler and Use. For Use With: 5/8" (16 mm) Headed Fittings. Made of Zinc Plated Carbon Steel.